One-eyed aliens, giant butterflies, flying dragons, mermaids, superheroes, self-portraits and other masterpieces mask our aged refrigerator. Without that in my life, even my morning coffee wouldn’t make me happy. All parents believe their child is the next Picasso or Frida Kahlo, but we also recognize the need to connect with our child. Their art connects to a part of the soul where words can’t. At least, that’s what I find when I reach for the refrigerator door. 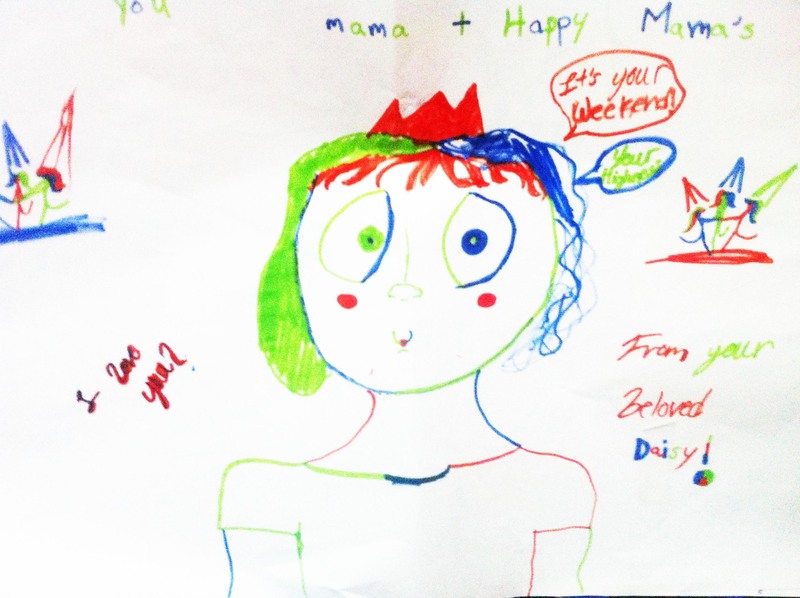 The first time my daughter handed me a drawing a surge of pride and euphoria swept through me. I rushed to the refrigerator as if it were a wall in an art gallery, quickly selected a worthy magnet, and surveyed its magnificence on the refrigerator door. She has come to see the refrigerator as a showcase for her talent and superior abilities, a confirmation that she is the best. Now, she snatches a piece of typing paper from the printer, grabs a pen or crayon and waits to see where I will display her next masterpiece. There are moments when I silently grumble that we never have paper in the printer when we need to print, but all I have to do is reach for the refrigerator door and those words never materialize. Over the years, this refrigerator art gallery has boasted various works of art that expressed her momentary whims and our family’s unique attributes, always with a positive spin. At one point it displayed a portrait of myself accentuating my ultra-curly hair in an afro-like halo with rays of light spraying from my head. When I asked why she added the light, my daughter explained that I looked like the sun in the morning. My whole perspective changed. I went from being a giant, frizzy-headed mess to the sun. 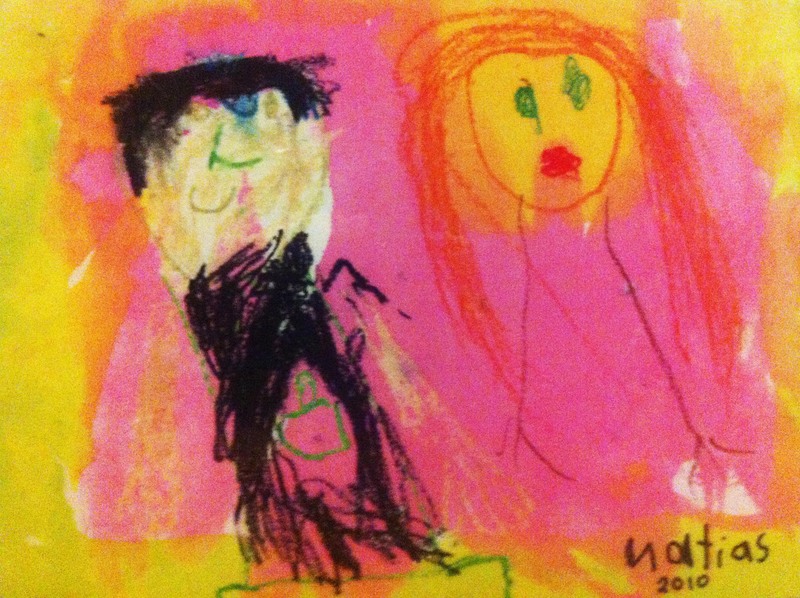 The day I couldn’t find that drawing was the day I realized how much I couldn’t live without my children’s art. I began to value it and make sure that, when it came time to replace old art with new art, the old art had a place to stay. I created a scrapbook where I could slip the ones that meant the most to me. The depth of meaning has grown over the years. Early one morning, still holding a grudge over an unresolved problem, I made my coffee then reached for milk from the refrigerator. I looked up and stopped. Strange creatures jumped from the door with their disproportionate necks and misshapen lips, kissing each other, flying and floating. Despite all the masterpieces I’ve seen in museums and galleries, I finally fully grasped the value of art. Art exists to remind us of the beauty we forget about while attempting to maneuver through the difficulties in life. Even if the art stands as a testament of our bad behaviors, it still magnifies the beauty we’ve disregarded. Once my son arrived, the art collection filled our house. The refrigerator art migrated to our walls and doors. One evening after a shower, I found his refrigerator art carefully taped to the hallway walls and bedroom doors. He proclaimed that the house was too boring and it needed some color. He placed each one at his eye-level—so I learned to look down for inspiration. Eventually, I myself moved some of the artwork to my little nook in the corner of the dining room where I work. A brightly dressed ninja reminds me of the power to fight but to be careful about wardrobe choices. 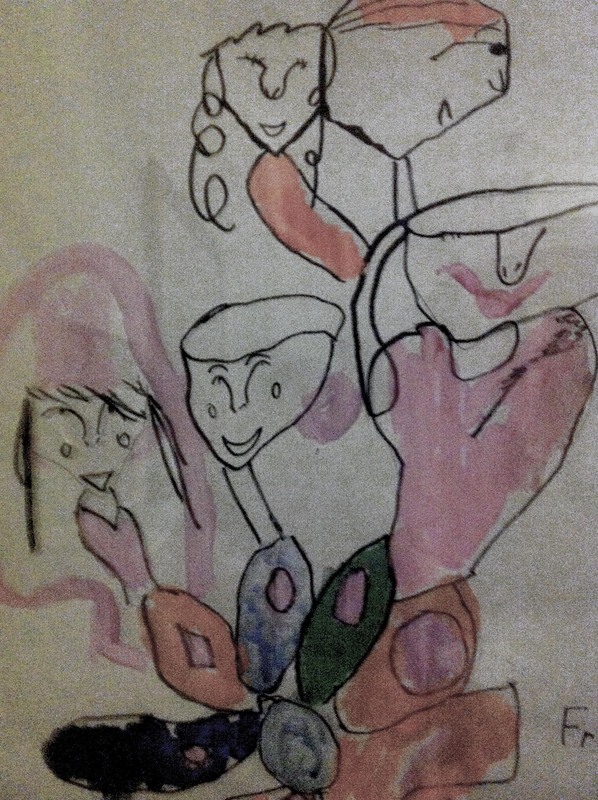 Two flowing girls, outlined in blue and red, tell me to overcome differences. 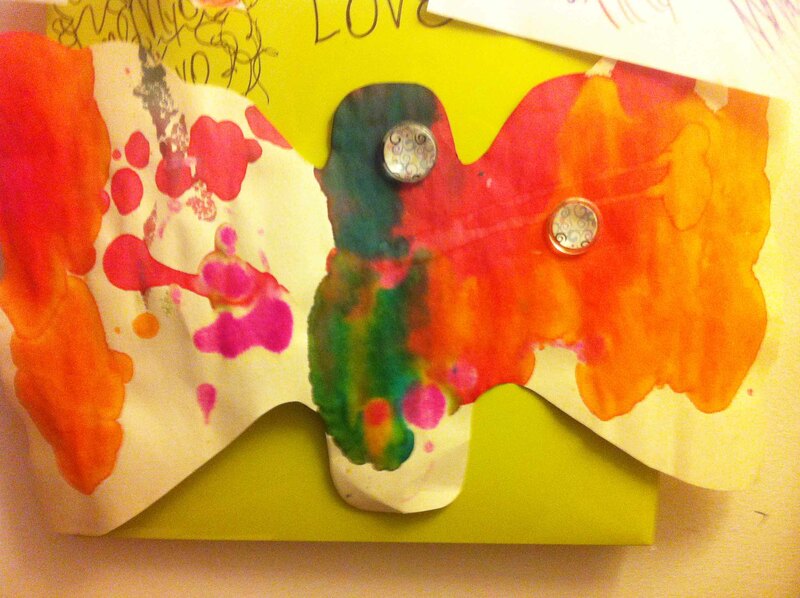 A butterfly splashed with color spreads its wings across my magnetic bulletin board. I hear its voice say, “Open your wings Mama. You’re still a child inside.” And a turtle calls out, “Slow down!” So, I do. Each piece expresses a new discovery, a silent insight, and an imperceptible moment that I would’ve rushed past had it not been my own child who handed it to me. Living without that, wouldn’t be living at all. Hello! I’m new to wordpress and I was wondering if you could tell me what a daily post challenge is. Is there a topic that everyone writes about? Or is it something else completely? Thanks! If you do a search at the top right corner of your screen, you’ll find links to it. It’s part of WordPress and obviously it’s an incredible source of writing inspiration. Good luck with your writing. I’ll be reading. A very unique post. And more importantly, a real touchy post indeed! You have brought up the most precious moments of your life as a mom. This wonderful post says how important inspiration children are, to their parents.Their company is unbelievably good and when we look into things from their viewpoint,life turns brighter.Conveying my love for your child and enjoyed every bit of this post by a wonderful mother. Thank you for reading and the wonderful reaction. It’s more than appreciated. My roomates and I do not have children of our own, but we have tons of artwork made by the children of our friend’s and close families. It is just a great feeling to have the honor of receiving artwork from them. Hope to see my own children’s artwork up on my fridge some day! I noticed that with even the most rigid friends when our children handed them a piece of art, they turned into a kid. One friends sat down and started drawing with them. I know. They aspire to be more like us when their drawings are so much more interesting. I’ll check yours out. Thank you for sharing. Amazing article Lisa, beautiful thoughts and perspective. Thanks for sharing. Thanks for enjoying it. I hoped everyone who read this would connect to it. I don’t spend a lot of time in households with children – I had sort of forgotten how genius these kinds of drawings can be. Thanks for sharing them! You’re right. As biased as I am, it’s a sort of genius. Beautiful post, inspiring me to go for it and become a mother!! Arghhh, did I really write that! How powerful are you?! It’s scary but also strange that no matter how many plans we make, it’s something like this that inspires us to act on our most intimate life decisions. Thank you for finding this and being inspired. This is the essence of wordpress’ existence, having posts as inspiring as this one! Simple yet life-opener. Nice! It is isn’t it. That’s why we’re here. It starts out on the fridge, but two of my four kids became artists (I mean, they always were) but they hope to make some sort of living from what started out on the refrigerator (though now it costs $200 to frame) and I realize they could sell it for the same amount or much higher depending … so though it has been gifted to me as generously as when they were four, I’ve also traded it for help with rent, bills etc. Small beginnings, hey? Congratulations on your artists becoming professionals. That’s what’s supposed to happen. Thanks for reading. Thank you. I’ve enjoyed all the comments and attention. It’s been a surprising whirlwind of a weekend. And, having my children’s art as the spark for it all has made it that much more amazing. What a lovely article! Have an insight into small peoples’ minds in this way feels like you’ve been let in on an incredible secret… There is no self-consciousness at all. What a wonderful age and what wonderful pictures. I can’t get enough of my boys art work either. They are so expressive and uninhibited by what something is “supposed” to look like. I marvel at their work constantly. Great post. I like that you display their art. I used to frame my son’s art and hang it up, like it is a piece of art. I ran out of room, but like his old art. He does not draw anymore. I’m an art lover and dabble myself besides writing reviews about art DVDs and I have to say, I really enjoyed your children’s art. While I’m no expert, it looks to me as if there is genuine talent there: great colors. The first one reminds me of Picasso. Have you taken your children to any art museums? I just loved this post by BraveSmartBold. It really touched my heart. I am sure all of you parents out there can relate to this beautiful share and hope you enjoy it as much as I do. Good on you for encouraging and nurturing your kids artistic side(s)! When my parents (mum) found out that I was good at maths, that’s all I was encouraged with from thereon in. Not to poo-poo on her parenting skills; she just wanted me to have all the things she didn’t have, after all. But if your kids are that way inclined, let them be. And even better, fuel their flame, as it seems you’re doing. Good mumming! Oh and yeah, nice article. Love it! I work at a kindergarten so I get to appreciate art every day.I think the world would be a better place if everyone got a little bit of time to draw or paint each day. Chilren’s art is so free.We can learn a lot from it. Very inspiring post! Can’t wait to experience it myself! Thanks for sharing! Just checking out this blogging scene…and look what I found… 🙂 Children are the best! I know that I’m tagging on late, considering that I just “discovered” you but this was truly a story that allowed me to jump on your heart strings and feel the feelings I never forgot! Seems as if I don’t have to remind you that these ARE the good old days! You are one mama who “GETS” it! My family members were very encouraging towards my art and always showing it off when I was a kid. My grandma still has a robin I drew when I was only 4. These are the things that shaped me into the artist that I am today. It means a lot to kids to express their creativity and I think too many adults for get that.